The Vatican on Wednesday clarified comments by Pope Francis about a case of what he called "sexual slavery" within a French congregation of nuns, saying he was referring to an abuse of power that was reflected in instances of sexual abuse. Francis cited the case when responding to a question about the sexual abuse of nuns by clergy that was posed during a news conference Tuesday while he was returning home from the United Arab Emirates. It was the Pope's first-ever public acknowledgment of the problem of priests and bishops sexually abusing nuns. He said the Vatican had been confronting the issue for some time and vowed to do more. 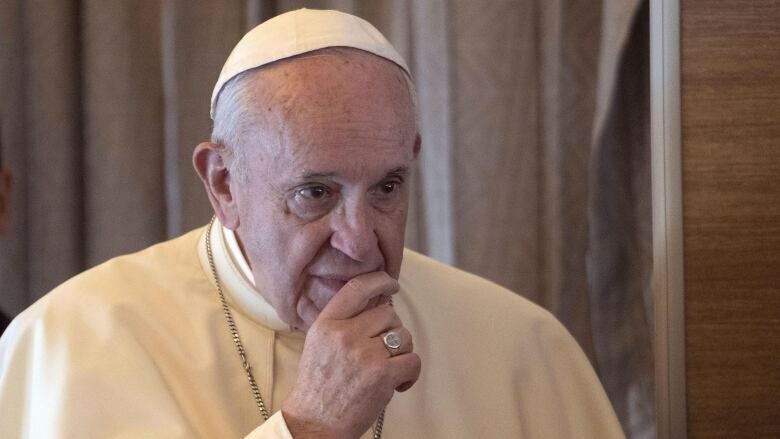 Vatican spokesperson Alessandro Gisotti said Wednesday that Francis "spoke of 'sexual slavery' to mean 'manipulation' or a type of abuse of power that is reflected in a sexual abuse." The Community of St. Jean admitted in 2013 its late founder had behaved "in ways that went against chastity" with women in the order, according to the French Catholic newspaper La Croix. The Vatican under Pope Benedict XVI ultimately dissolved an offshoot of the congregation. The issue has come to the fore amid the Catholic Church's overall reckoning with the sexual abuse of minors and the #MeToo-inspired acknowledgment that adults can be victims of abuse whenever there is an imbalance of power in a relationship. In the past year, The Associated Press and other media have reported on cases of abused nuns in India , Africa, Europe and South America — evidence the problem is by no means limited to a certain geographic area. The magazine Women Church World noted that the scandal involves a corollary: nuns being forced to abort the priests' children or bear children that the priests refuse to recognize. While speaking to reporters Tuesday, Francis said Pope Benedict XVI had taken action against a France-based order after some of its religious sisters had been reduced to "sexual slavery" at the hands of the priest who founded the order and other priests. Francis said some clergy had been suspended for mistreating sisters. But he also said the mistreatment of women is a problem in society at large, where women are still considered "second-class citizens."